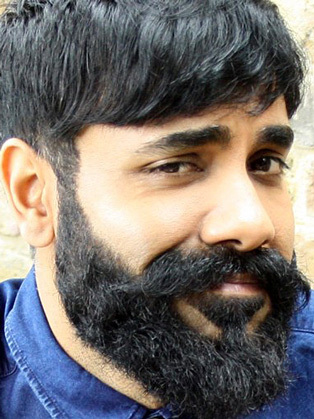 Paul Chowdhry is undoubtedly a comedy force of rich talent; he is a London born comedian, actor and prolific name in the stand up comedy world. Holding many TV appearances on such shows as Channel 4’s 8 out of 10 Cats, Very British Problems and ITV’s Celebrity Squares to name a few, Paul’s most recent television appearance saw him host the final series of Channel 4’s Stand Up for the Week. Paul has also achieved two headline act slots on BBC2’s Live at the Apollo and performed the holy grail of stand-up comedy rooms for four consecutive years at the O2 Arena as part of Channel 4’s Comedy Gala, in aid of Great Ormond Street Hospital where he appeared alongside Lee Evans and Michael McIntyre. Having started in stand-up comedy on London’s small circuits, Paul Chowdhry has built an incredibly strong audience achieving two national tours to date. The first of which, What’s Happening White People cemented his place in British mainstream comedy, during which he was offered a DVD deal with Universal Pictures. Recorded at a sold out Hammersmith Apollo, it reached #5 in the charts and was subsequently aired on Channel 4 three times, trending on Twitter during each broadcast. Chowdhry’s most recent tour PC’s World was extended three times due to audience demand and his dramatic social media growth, finally closing its run after an impressive 100 sold out national dates. This included three nights at the Hammersmith Apollo & the Brixton O2 Academy where he recorded his second DVD. A keen and talented actor, Chowdhry has also achieved feature film roles in titles such as Swinging With The Finkels alongside Martin Freeman and Jerry Stiller, Colour Me Kubrick with John Malkovich, Rogue Trader with Ewan McGregor and Anna Friel and ‘It Was An Accident’ alongside Thandie Newton and Chiwetel Ejiofor, CBE.